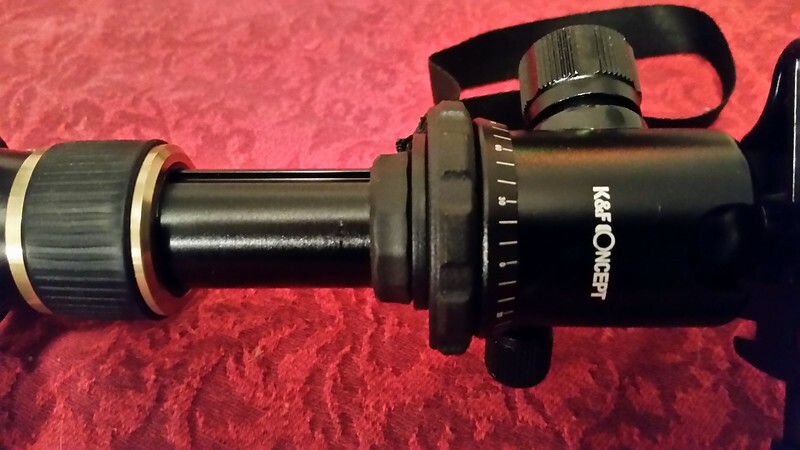 A few weeks back I received a K&F Concept TM2324 Tripod. 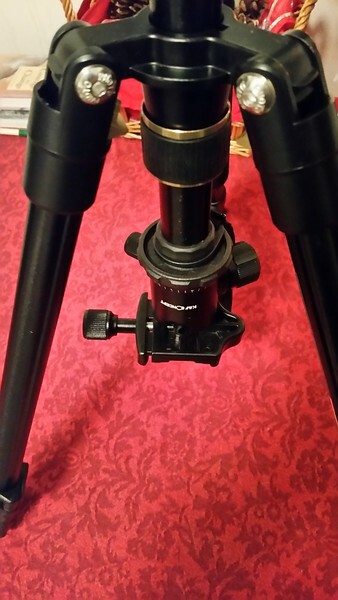 This will be a review (initial followed up with a long term review at a later date) of this tripod as well as a comparison to my old standby, the Manfrotto 3205LC with Manfrotto 496RC2 ball head. 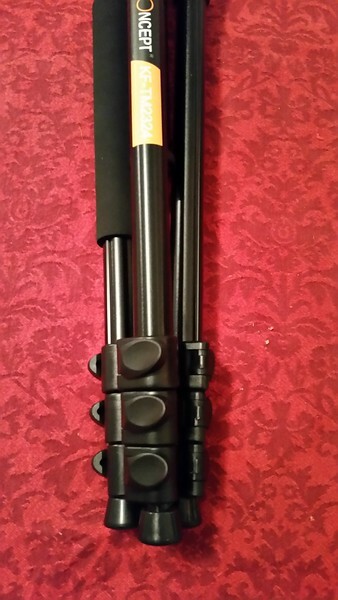 The K&F Tripod was purchased from Amazon, here, Amazon and would be considered comparable to the Manfrotto. I have had 2 weekends out shooting with this tripod, both weekends out with my canon AE-1 shooting black and white film. But first, I want to tell you why I am using this tripod now. 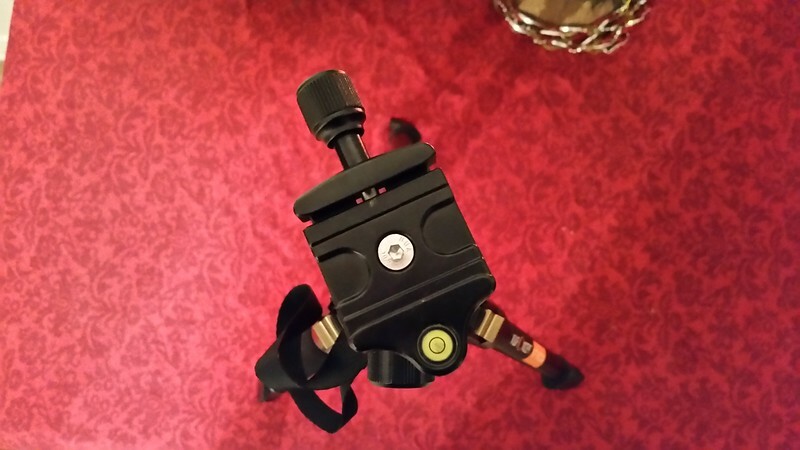 For years, I have wanted a lighter weight, more compact tripod. The logical solution would be a carbon fiber tripod. The problem is price. A quality carbon fiber tripod will run $3-500 easily. I am not about to pay that. Secondly, I do a lot of hiking to remote places off the beaten path and the Manfrotto 3205LC, though sturdy and rugged, is just damn heavy! My arm hurts carrying it. I don’t usually carry my backpack or camera bag with gear as I go minimalist. One camera, one lens, one tripod is how I roll. It’s the camera over the shoulder, fanny pack with water and food, tripod in hand. Sometimes I wanted to strap the tripod to my fanny pack (mountain smith cairn II, for those who want to know) but it is too big and heavy. The few lightweight tripods I have looked at were jokes, too flimsy and doubtful that it would hold a DSLR or even a film SLR steady. So I mustered on with the beast (manfrotto). Well a friend and fellow photog turned me onto this tripod. It intrigued me. When I received it I was more intrigued, and impressed. First, It came in a nice carrying case (didn’t get one with the manfrotto which was purchased at Dury’s in Nashville). Inside the case was shoulder strap if needed. The case is a nice synthetic type canvas, ruggedly built. 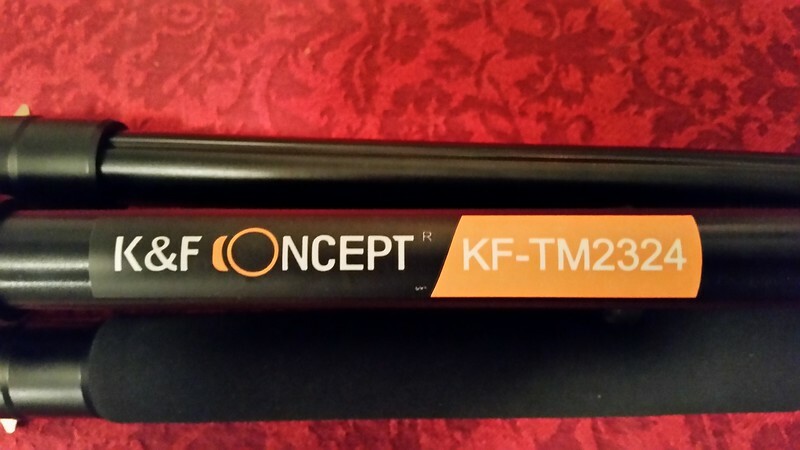 The K&F Concept TM2324 tripod was really impressive. A good third the size of the Manfrotto folded up and MUCH lighter,mMaybe 3lbs. The K&F is barely over 2lbs with the head! That is light! I quickly noticed the quick release tabs for the leg extensions. This was a pleasant relief as my current tripod has the old fashioned screw tab deals that make things SLOW! Plus, I will be setting up for a shoot, and the legs begin to shrink. Oh yeah, didn’t tighten the leg down enough, doh! Not an issue with the quick release locking tabs. Compact, light and affordable! Just what I wanted! Could it be any better? Why yes, yes it can. The K&F Concept TM 2324 has much more flexibility in movements. The legs can be inverted so the head can be lowered virtually to the ground with the legs extended. This makes shooting with a super wide angle for a lower perspective/angle and/or macro photography that much easier. There is a built in bubble leveler on the head. Nice! But what about the head? Manfrotto style quick release plates is a gold standard with reliable components. Well, I think I like this one on the K&F better. Though the plate is not quick release, I believe it is better. And here is why. The quick release mechanism of the manfrotto, while quick, never instilled confidence in me. I always had to recheck to make sure the camera would not fall out and when leaning the camera or tripod over, I was always scared it would snap out. On the T&F, you place the camera with plate attached, in the slot on top of the head. Attached is a sturdy bolt type screw that screws the head into the plate (hard to describe but very natural) and leaves me filling confident that the camera is planted and will stay on the head. Also, the ball head movements are silky smooth! Much more so than my manfrotto, even when new. Additionally, there are degree guide numbers around the ball head for precision in panoramic instances where you will be merging multiple images for a panorama. Just an overall much more refined product. 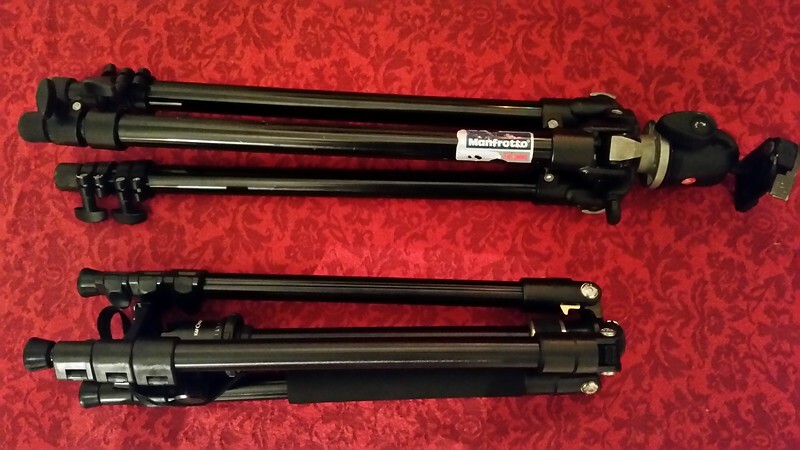 The manfrotto may be your Jeep Wrangler, the K&F your Jeep Cherokee (utilitarian rugged vs. refined ruggedness). So what else to say? I am super thrilled with this tripod. It suits my needs and may suit yours as well if you are looking for an affordable, compact, lightweight tripod for your landscape (or studio) needs. I plan on using this extensively this winter and see if it holds up to the rigors of the backwoods and will report back my findings. So far so good with K&M Concept TM2324 Tripod! Here are a few reference photos, one comparison in size next to the manfrotto. Obviously smaller, more compact for storage, travel, hiking, etc.